Two days ago I traveled into the Sonoran Desert and the Tohono O’odham Indian Reservation. The landscape reminded me of my time in the Sahara, especially in the refugee camps of the Saharawi. In both deserts, the dwelling places are simple one-story structures occupied by people named for the desert itself: both Saharawi and O’odham mean, essentially, ‘people of the desert.’ The aesthetic role of the camel in the Sahara is played in the Sonora by the Saguaro Cactus. Each acts as the part-comic, part-elegant icon of their respective landscapes. I traveled to the reservation to meet with Ofelia Rivas, an O’odham elder and activist, to speak with her about the border wall. Ofelia is a marvelous woman. She has been advocating for her people’s rights for many years. Recently, she toured with a punk band called Resistant Culture and spoke to audiences about indigenous issues along the borderlands. She also met the Dalai Lama in Tucson. Ofelia told me how she pressed her forehead against his, closed her eyes, and spoke to him in her native language about the troubles facing her people. “I felt that he could understand me,” she said. 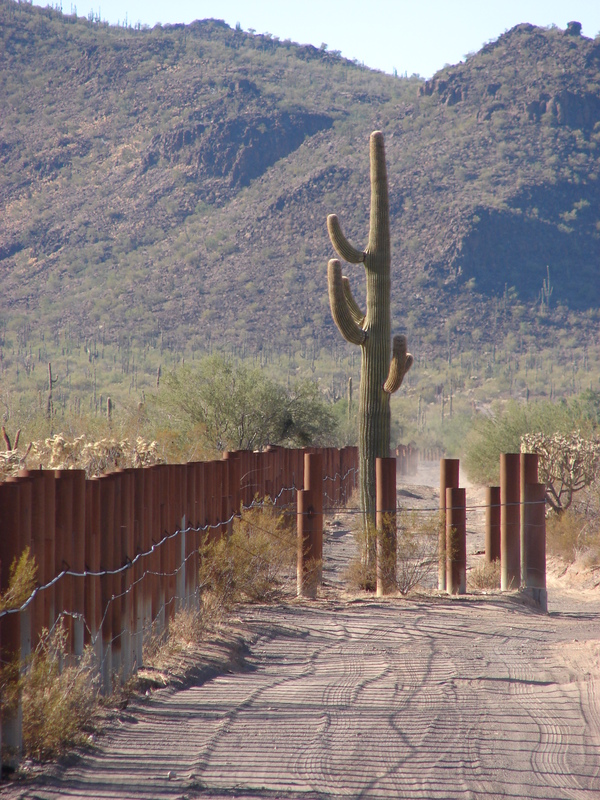 O’odham territory spills over the international border into Mexico. It is a huge expanse of land; the reservation on the US side alone is the size of Connecticut. 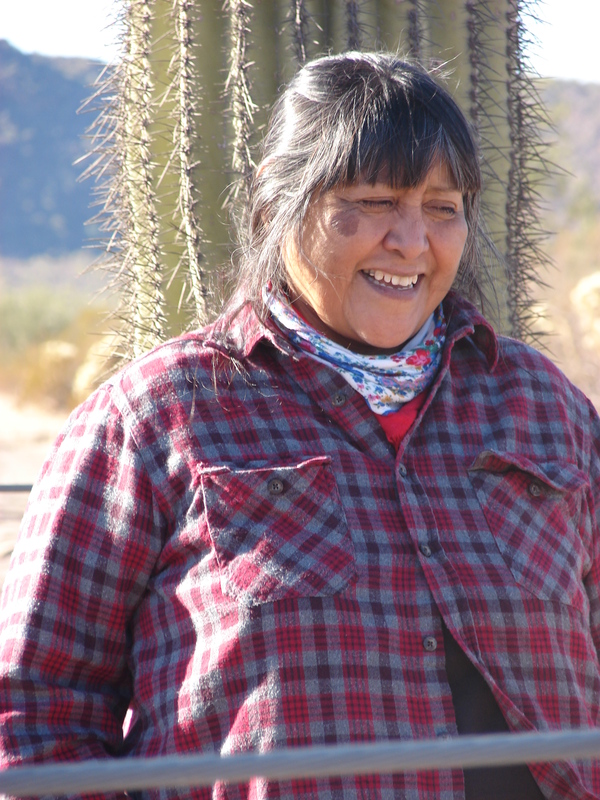 Ofelia told me that traditional O’odham belief requires people to travel freely across their lands, to care for and maintain the holy sites, and to make pilgrimages along the traditional routes. 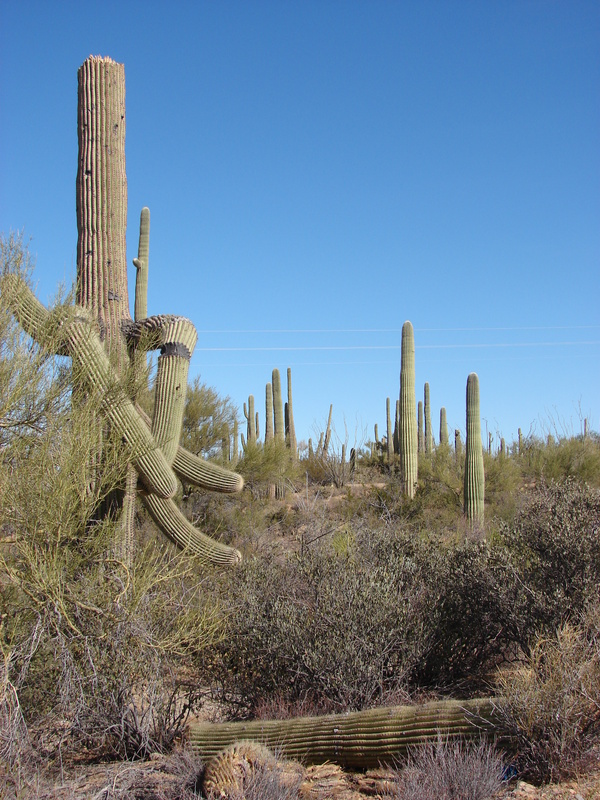 The O’odham used to move freely across the border. The line meant nothing to the O’odham, after all, since they occupied these lands long before there even was a United States or a Mexico. But 9-11 and the fortification of the border changed things for the O’odham. Tribal members from both sides of the line now needed formal documentation to cross the border. Many O’odham, Ofelia among them, were not born in hospitals and did not have their birth officially recorded anywhere. They did not have the proper documents. The increased border security also means that Border Patrol agents insist on searching through the medicine bundles O’odham elders use in their ceremonies. These bundles are sacred and not to be handled by anyone not involved in the ritual. To search through these holy packages as if they were carry-on bags at an airport is a great insult to the O’odham. Ofelia told me that once a Border Patrol agent snapped apart the antlers on a ceremonial headdress to see if there were narcotics hidden inside. 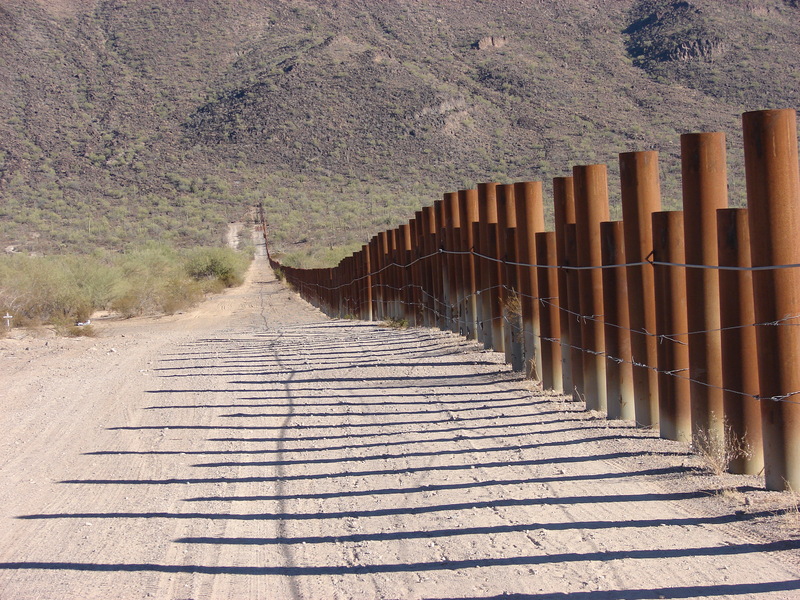 The border wall has also changed the way O’odham on either side of the line view each other. For the first time, the members refer to the Mexicano O’odham and the Americano O’odham. O’odham south of the border consider northern O’odham privileged – though one look at the poor reservation settlements near the border puts this notion to rest. The situation reminds me of the rural villages along the India-Bangladesh border (which I wrote about here). Families on one side of the line did not consider themselves any different from their counterparts on the other side until India built a fence. The steel and wire gave rise to feelings of difference that never existed before. The walls are impotent; the walls are powerful, too. Ofelia brought me to the borderline. A wall made of steel tubes planted five feet into the ground and filled with concrete is designed to stop vehicles from crossing. As we stood and stared into the expanse of O’odham land on the other side, Ofelia told me that since the wall went up, eleven O’odham elders had died. “One after another,” she said. Ofelia believes that the stress and sadness born out of the border wall was one of the reasons these elders died. “They couldn’t comprehend what was happening,” she said. When former Homeland Security Secretary Chertoff used the Real ID Act to waive Native American Grave Protection and Repatriation Act and 35 other laws, the regulations that ensured respect for the Tohono O’odham’s ancestral remains and culture no longer applied to border wall construction.